As the head of a 78-member strong paid search agency, I tend to think a lot about how to retain clients. In fact, every single consultant must and should be thinking about the magical number that is your churn rate. It is much cheaper to keep your existing clients than to chase new clients. Keeping your existing clients should be your number one responsibility, and it is for us in White Shark Media. 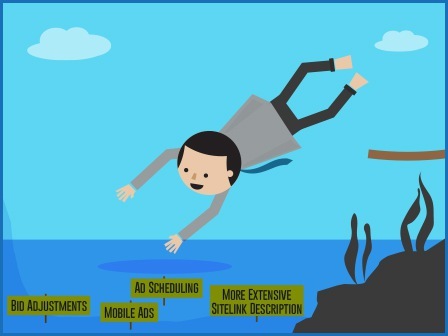 As a PPC consultant, it can be difficult to retain clients. Especially if you work with smaller clients where the need for ongoing optimizations is smaller. Keeping your clients for more than 6-8 months can be tough nut if you don’t have a set strategy in place. Luckily, the solution is rather simple. When a client stops using your services it’s because they don’t see any further value with the fee you’re charging them each month. You worked relentlessly the first couple of months bringing their account to where it is now, so you might think that it’s well deserved to lay back for a bit. Nothing could be further from the truth. The good-will from the initial months of good results will only take you so far. And that’s not very far. Adding value is an old trick that not only pertains to consultancy, but also stretches into offers, discounts, selling, communication, and many other areas. For PPC consultants, value can be perceived in many ways and is therefore a rather vague term. My best tip to ensure you add value every month is to think about the monthly report that I hope you’re sending your clients. Is this enough for my client to be happy paying my fee this month? Will this report present enough value? However, this strategy tends to get stale and your client will begin to doubt whether you’re truly worth the fee every month. Therefore, remember to provide one or two things that will show value when you send your monthly report. Another good strategy is to look at the monetary value you’re bringing in. If you’re solely maintaining an AdWords account month-after-month with no progress to show, it will be hard to defend your fee. If you know exactly how much revenue (either through e-commerce tracking or call tracking) you’re creating every month, you will be able to better make a case for why your fee is an investment instead of an expense. I always like to deliver more than what my clients expect. If they’re paying me to set up a regular search campaign, I regularly either pitch in with some of the other campaigns, or at the very least provide extra feedback on what they are doing. If you are getting stuck in the same old optimizations every month, consider starting brand new initiatives. Set up a remarketing campaign, do research for good websites that could go into a display placement campaign or expand on your client’s PLA efforts. Just make sure that you have your client’s consent if you start touching areas that are outside of your contract. I often see consultants get stuck in the monthly optimizations without any direction on where to go next. Once a search campaign is running well, it’s time to look at some of the deeper optimization techniques. Anything from Ad Scheduling to Bid Adjustments, Mobile Ads, More Extensive Sitelink Descriptions, etc. can be helpful at this stage. You should consistently try out new keywords. Eventually, it gets hard to find more keywords to test, but make an effort to look for them every month. There might be seasonal keywords coming up or other events you can take advantage of. Your end goal is to improve conversions for your client. For example, I often provide clients with landing page assessments. I’m not a conversion rate expert, but since I work in online marketing I tend to know what works and what doesn’t. Even basic improvements to client websites can produce greater returns – a win-win! Once you start to see better conversion rates, you will have a completely new task ahead of you in your PPC campaigns as well. 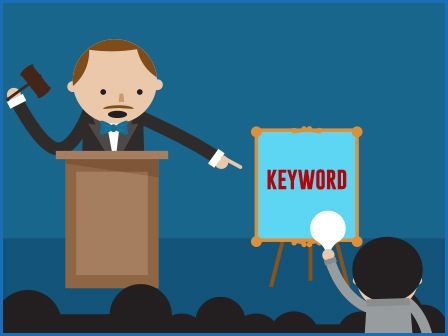 Keywords that formerly didn’t convert profitably can now be eligible for new experiments, or current keywords can receive higher bids. Offering “accidental” advice on these topics is great for your retention. If you accidentally stop by your client’s Google+ page and notice they haven’t updated their cover photo format to the new format (happens to all of us I’m sure), shoot them a quick email letting them know and include a link to the new size and Best Practices. Small efforts like this can go a long way in showing that you truly care about growing their business. This is my biggest piece of advice. I often see PPC consultant get complacent with their campaigns. For me, I’m not satisfied until my client is in the top 1-3 spots for every profitable keyword. To be fair, attaining this is not always possible with the initial budget you’ve been granted. One of your main tasks, therefore, is to continue showing a high ROI and turn this into a bigger budget. My end goal is always to attain such a high budget that I’m essentially without limits and can truly start maximizing the ROI. Another bonus of getting a bigger budget is that your fee seems smaller. If you’re paid $1,000 to manage a $3,000 campaign, you’re essentially being paid 33%. However, if you are all of a sudden paid $1,000 for managing a $10,000 campaign, you’re only paid 10%. This means the downside for letting you go far outweighs the small percentage you get paid. Also, remember that with the bigger budget you’re also providing a higher ROI, which means your client depends upon you more. I must admit – sometimes I fail at this. 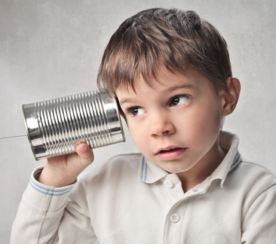 I have this amazing outline in my head, or scribbled in Evernote, detailing how I will grow my client’s campaigns. However, I don’t share it because it is just that – scribbles – and I don’t want to show something that doesn’t look professional. Before I know it, I’m receiving notice that they are pulling out of the contract and are trying in-house instead. Every time this happens, I beat myself in the head for not following my own advice. I’m often able to retain the client by presenting the long-term plan. Upon seeing the plan, the client is often surprised about how much more can be done with their campaigns. 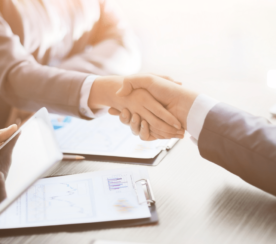 A failure to communicate your plan of action and not sharing your thoughts with your client negatively affects your client’s perception of the value you provide. This helps when your competitors are calling your client preaching the latest features, or asking them why you’re not doing “x”. It is a lot better if your client already knows you’re not running remarketing yet because you just installed the tag and don’t have enough visitors, but you will be launching in 45 days. You can do all the amazing work in the world, but if you don’t know how to present it favorably to your client, all your efforts will be for naught. By presenting favorably, I don’t necessarily mean you need an extensive report with fancy graphics (although graphics help a lot). At the very least, you need to ensure your client understands the work you’re doing and how it is helping him grow his business. 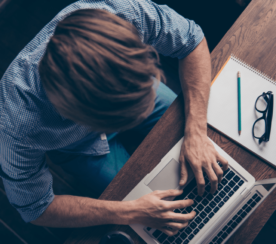 Mastering writing and sales techniques go a long way when it comes to getting your point across effectively. For my client and I to be equally happy about paying my invoice at the end of the month. Therefore, I start every month from scratch knowing I need to fill up that hourglass. One of the great icons of business Warren Buffet once said: “It takes 15 years to build a good reputation, but only 15 seconds to tear it apart” (paraphrased). I believe the same is true when it comes to consultants. You earn trust every month you’re both happy when the invoice is paid, but you still need to start every month from scratch. What Do You Want from Your PPC Consultant? I would like to hear feedback from in-house consultants. Above are my experiences from five years in the industry, but they don’t paint the full picture. 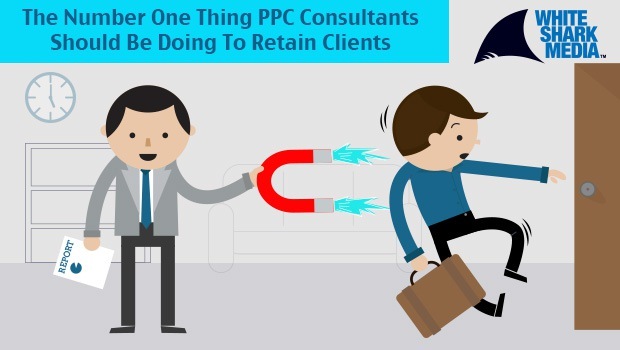 Illustration 1 “The Number One Thing PPC Consultants Should Be Doing To Retain clients” created by author on 01/27/14. Illustrations 2 “Go deeper than the basics” created by author on 01/27/14. Illustrations 3 “Bid Higher, Get More Budget And Provide A Bigger Return” created by author on 01/27/14. Illustrations 4 “What Do You Want From Your PPC Consultant?” created by author on 01/27/14.